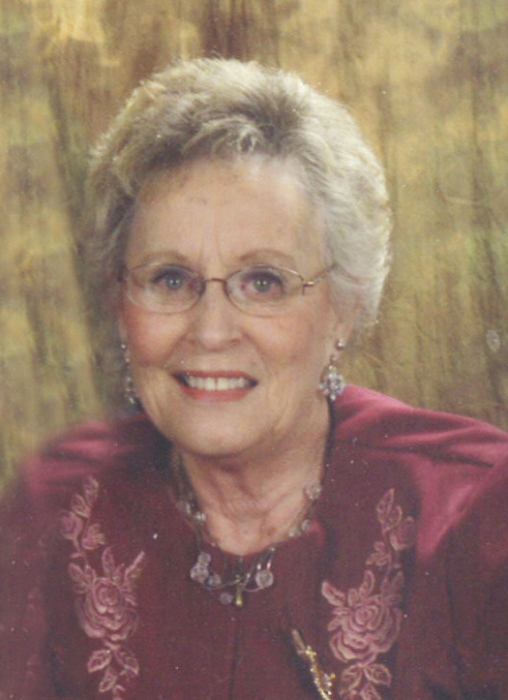 Mrs. Nedra Dragland of Lethbridge, beloved companion of the late Mr. William Warren, passed away at the Chinook Regional Hospital, on Wednesday, April 10, 2019, at the age of 86 years. Nedra was born in Cardston Alberta on July 2, 1932 and moved to Lethbridge at the age of 13 years old, where she completed her education and went to hair dressing school, graduated and worked as a hairdresser for 3 years. In 1951 she married Ted Dragland and moved to Conquerville, Alberta where they farmed for 3 years. They left the farm and came to Lethbridge where they started raising their family. Nedra was employed at Microtel for 24 years. Ted unfortunately passed away in 1968, at the young age of 41. Later she met her beloved companion Bill Warren and they created their extended family with Bill’s 2 sons Bruce and Dave, and daughter Lorraine. Nedra is survived by her beloved sons, Richard (Sue), Kevin (Linda); her lovely daughter Marilyn (Stan); step children Dave (Gina), Lorraine (Rick) and Bruce; sisters Evelyn and Linda; brother Robert (Kay); sisters in law Mary, Rosemary, and Patsy; grandchildren Jason (Laurel) Garner, Jamie (Justin) Bayne, Devin Spurrill, Derrick Spurrill, Shane Spurrill, Matthew (Jolene) Dragland, Joel Dragland; great grandchildren Jaxton and Liam Garner, Chazley, Jayva and Gavin Brayne, Caiden, Alexis, London and Jaxon Dragland; numerous nieces and nephews, and her “little buddy” Kathryn. Nedra was predeceased by her first husband Theodore “Ted” Dragland; parents Mabel and Oscar Sallenbach; brothers, Ken, Ron, Allen, Wes and daughter Carolyn. Nedra’s deepest possessions were her children, grandchildren and great grandchildren. Family and friends are invited to pay their respects between 7:00PM and 8:00PM, on Sunday, April 14, 2019, at MARTIN BROTHERS RIVERVIEW CHAPEL, 610-4 Street South. A Funeral Service will be held at 1:00PM, on Monday, April 15, 2019, at MARTIN BROTHERS RIVERVIEW CHAPEL, 610-4 Street South, with Reverend Eva Stanley officiating.